Not too many meat recipes are found here at Sharing A to Z. However, I am so honored to be part of 12 other bloggers bringing you the 12 days of our favorite recipes! Today is something for all my meat lovers out there. Please remember to buy organic ingredients whenever possible! Today’s recipe comes from Janell at SavingYouDinero.com. 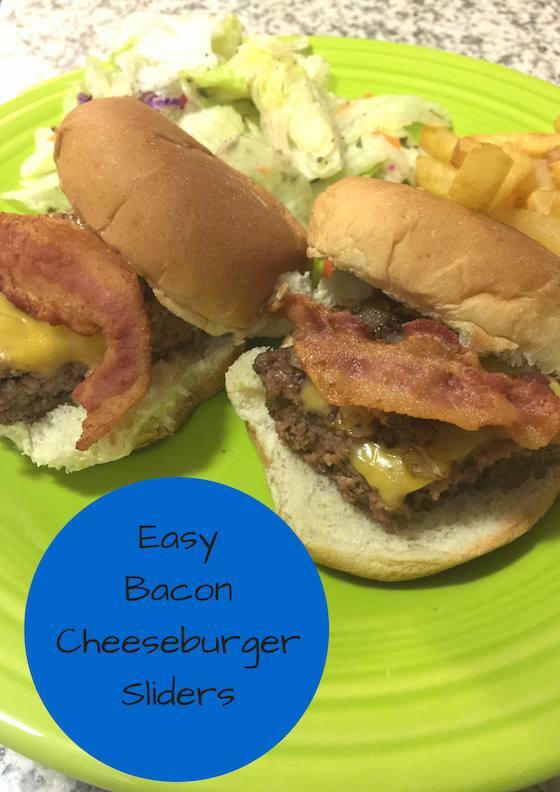 She has a delicious and easy recipe for Bacon Cheeseburger Sliders. This recipe is so easy you can cook them in the oven. No need to waste time making little patties. Make sure you come back because we have 11 more fabulous recipes that I know you will love! This entry was posted in Recipes and tagged burger, meat.